... The show was fantastic entertainment and a great success!" "An amazing, and very funny adaptation of Romeo and Juliet .. brought the house down with an awesome script!" 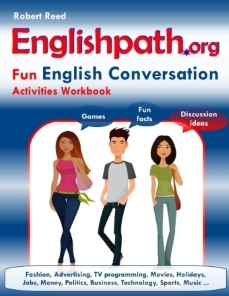 ﻿"Brilliant, ... funny, witty humor of language, character and situation. We simply loved working on it. Great, great experience! 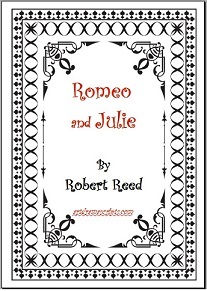 Thank you, Robert"
Romeo and Julie is a modern English play script with some quotes from Shakespeare's Romeo and Juliet. This great comedy play is suitable for high school shows, youth theatre productions, thespian festivals. Simple set & small cast. Short comedy play for high schools with the theme of speed dating. The humour is centred around the interactions between the main character and the 'dates' he meets. One act play with 5 scenes. The individual scenes from the play script could be used as 5 skits. Adapted first scene from the drama script is available for sale as a 5 minutes skit Blind Date - find the skit here. Hilarious new comedy script for teenagers. The script is available in 2 versions - 60 or 75 minutes. Samples and read more details about this Dracula comedy script! Dramatic script set in 1920's New York that is highly relevant in the current world of questionable banking practices. Read more about the "The Devil's Banker" play, read excerpts from the script or purchase in other currencies: click here.